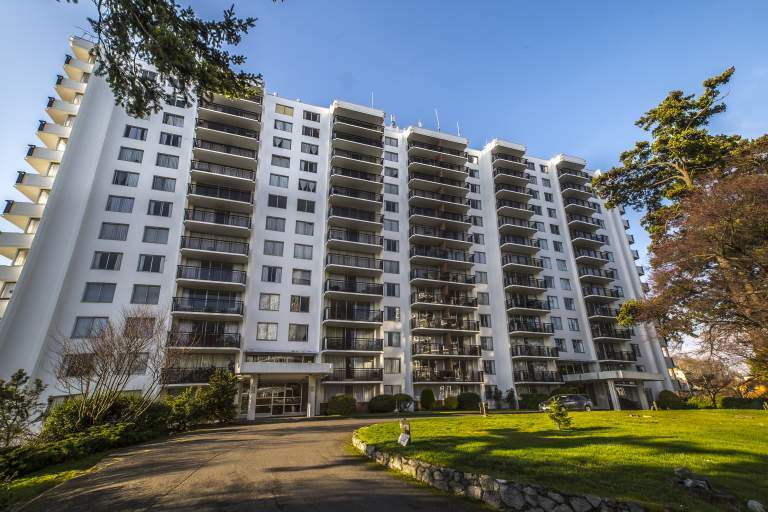 The Princess Patricia is a beautiful high-rise building located in Victoria West, overlooking the Strait of Juan de Fuca. Here, residents can enjoy spacious suites, ample parking, and generous balconies with views of the Victoria inner and outer harbour. Barnard Park, Victoria West Park and Lime Bay Park are nearby, while residents also have direct access to Songhees Walkway-- kilometers of ocean-side trails from the Parliament buildings to CFB Esquimalt. There are many shops, restaurants and other conveniences in Vic West, while Downtown Victoria is only a 10 minute drive away! Transit stops are only steps away from our front door, while easy access to Johnson Street Bridge makes commuting a breeze.